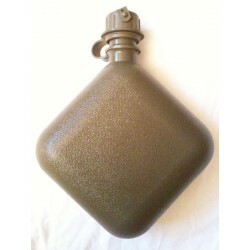 Official Military Army Collapsible Camping Canteen 2 QT Cover Pouch with Sling. Condition is New. Color is Desert Tan. 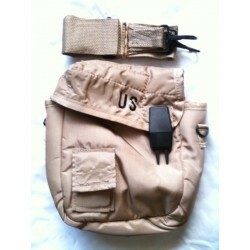 Official US Military Collapsible Canteen Cover and Sling. Made by Unicor. Belt Clips included. Sling included. Nylon material. Inside is lined with soft fleece type material.